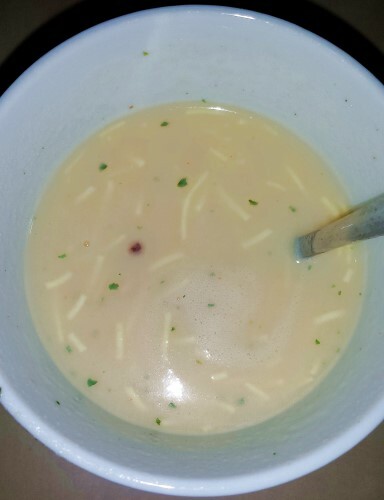 I keep some chicken noodle cup-a-soup in the cupboard for these kinds of situations, as well as cans of baked beans, spaghetti and cheese, some other canned soups and pasta bake in a jar just add cooked pasta, chicken or tuna and bake type things. On this occasion though, we ran out of cup-a-soup. When we went to Woolworths to stock up on this and a few other things.. 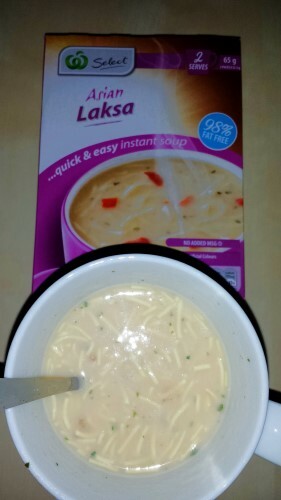 I discovered Asian Laksa cup-a-soup. I’m sure it has been on the market for ages and I am just late to find out about it. I bought a couple of packets of this Woolworths version as well as a Hot and Spicy Continental version. The Hot And Spicy version cleared my sinuses out so fast, it was amazing but be aware, the Hot and Spicy is exactly that – Hot and Spicy. It is nice to have this as another tool in my sinus clearing cupboard though, as I usually use Wasabi for that and I only like to eat Wasabi with Sushi, which means a drive to the shops to get Sushi, and that isn’t possible at 3am. The plain version is very mild and yet flavourful. For those who steer clear of Laksa due to not liking the taste of coconut, there is no need to worry here, there is no lingering coconut flavour and checking the ingredients list there does not seem to be any coconut in here. The flavour that does linger is vegetables. Snoskred verdict? Look how many of them I bought when they were on special for $1, this might be a clue that I absolutely love these cup-a-soups. 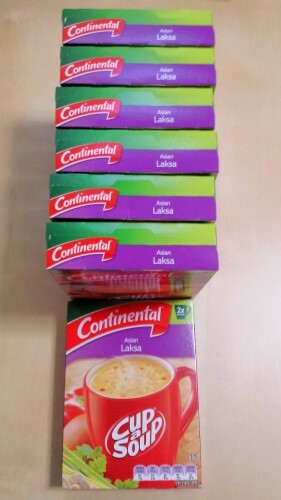 I am fairly confident the Woolworths and Continental cup-a-soups are made by the same people, but I could be wrong. I’ll be buying whichever one is on special. I was not sponsored to say these things, I just really like this stuff. :) You’ll find me talking more about the Woolworths Select range over coming weeks because I have found some products I really love in that range, including their amazing Salted Caramel Dessert Sauce. I have a story about how I almost set the house on fire trying to heat it up in the microwave.. stay tuned for that one! 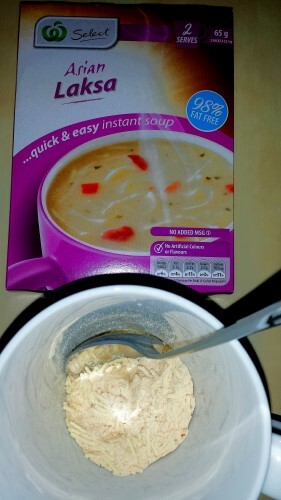 I gave up cup-a-soups years ago, they are way too salty. 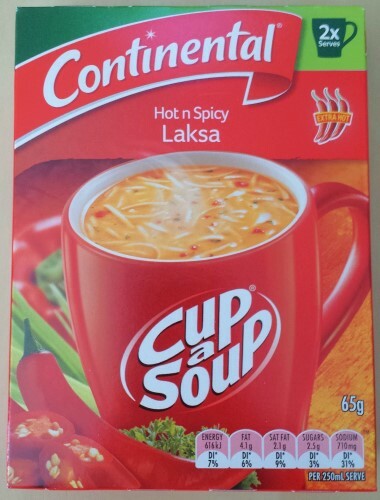 I’ve never tried the Laksa, I read the ingredients list once and saw it contained chilli which I can’t eat. To find out if the same company makes them look for the address they came from or were packed in on the back of the packet. Same address is a pretty sure bet. Or you could email and ask. I will make some sent to you, in my next package. :) I am already collecting things up!